1, Non toxic and health. PPR raw materials for elements only carbon and hydrogen elements, there is no harmful toxic elements, and health , not only for hot and cold water pipes, can be used in clean drinking water systems. 2, Thermal insulation. PPR pipe thermal conductivity coefficient of 0.21w/mk, only 1 / 200 to steel pipe. 3, Good heat resistance. PPR pipe Vicat softening point of 131.5 degrees C. Maximum working temperature up to 95 degrees C, water supply and drainage to meet the construction specifications require in the use of hot water system. 4, Long service life. PPR pipe in working temperature 70 degrees C, working pressure (PN) 1.0MPa conditions, the service life can be up to 50 years; at room temperature (20 degrees C) service life can be up to 100 years. 5, Easy installation, connection.PPR has good welding properties, pipe, pipe fittings can be used hot-melt and fused connections, easy installation, the strength of its joints is greater than the strength of its own pipe. 6, Recyclable materials. 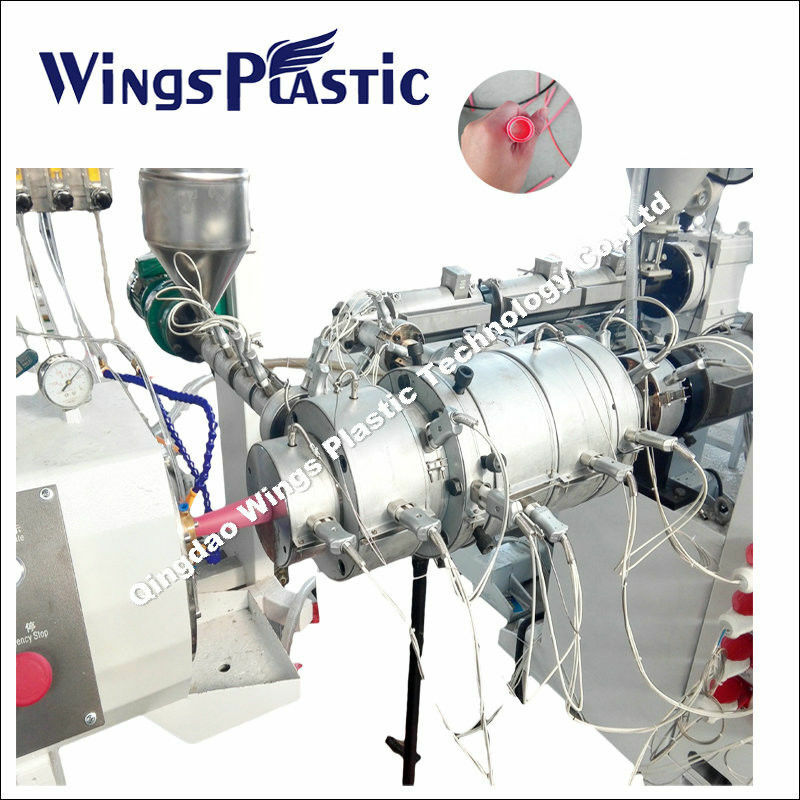 Waste PPR after clean, broken recycling can be used in the pipes, pipe fittings production. Recycling materials does not exceed the total amount of 10%, does not affect product quality. 1) This line is used to produce PP-R, pe pipe. 6) The machine can be changed to produce PPA/PPC/PP/PE pipe. *Q: What’s the price of this machine please? *A: Dear customer, for each kind of our machines, we have lots of models. Generally speaking, we design the production lines according to different requirements of different machines from different customers. Therefore, the prices are different. So please kindly inform us your requirements. For example, the raw material, the output product size, capacity and etc. The more detailed, the better. Our Engineers will design a suitable production line for you. *Q: What is your advantage in this line? *A: Dear customer, we only focus on plastic pipe extrusion machinery manufacturing and development. That is much different with others, we live on pipe extrusion line, and pipe machinery customer is all for us. 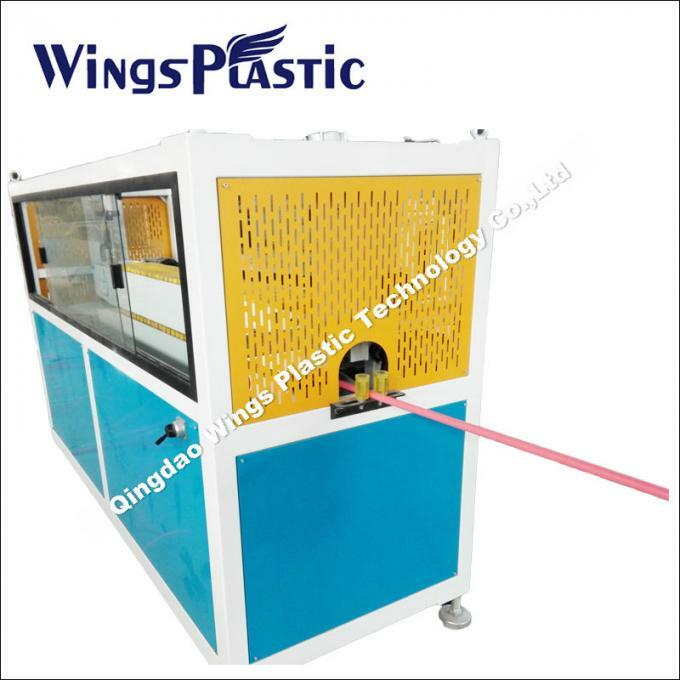 Qingdao Wings Plastic Technology Co., Ltd is located in Qingdao Jiaozhou City. 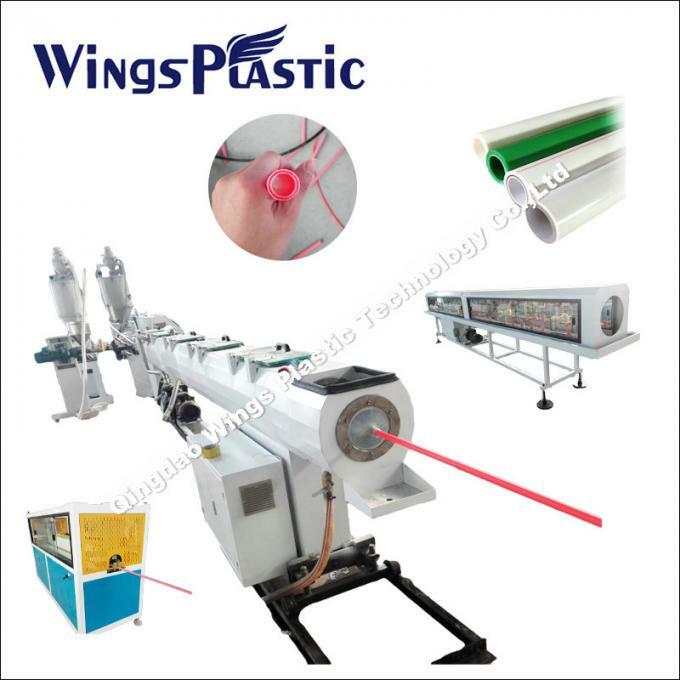 Advocating the spirit of exploitation and enterprising, we are in pursuit of excellent and have become the specialized supplier of manufacturing, designing and developing the plastic pipe extrusion machines. We own the highquality staff and management supervisors and our company has entirely impelled the ISO9001:2000 quality management system.With the professional technicians and designers, we can design and produce different specification extruder production line with the feature of high capacity, low cost and the most competitive in the market according to the client’s demand.